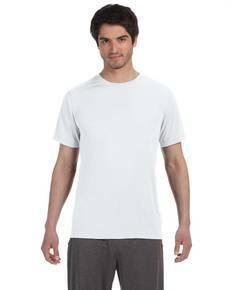 A performance tee made with both men and women in mind, the All Sport M1009 performance short sleeve t-shirt is made using 100% polyester interlock and is available in a wide range of sizes, including XS-4XL. Featuring dry-wicking technology to keep you cool, anti-microbial characteristics to keep you fresh, and a convenient tear away label, the M1009 All Sport performance t-shirt is the ideal tee to decorate with your team’s winning logo or throw on as-is when you head to the gym. With nearly 40 colors to choose from, we’ve got something for everyone!